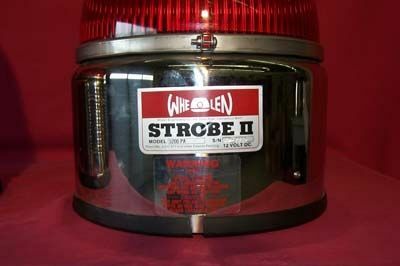 Whelen Strobe II Model 5200-PA (U0433) :: Fenton Fire Equipment Inc. Single Xenon flash tube. Cast aluminum base with stainless steel clamp ring. Remote PSW-1 Hi/Low intensity strobe light control is included. 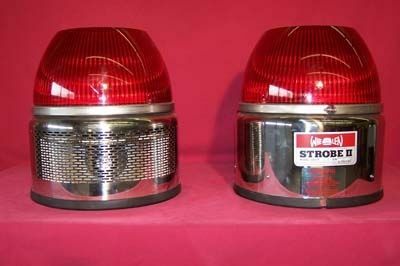 6 candlepower steady burning cruise light standard. 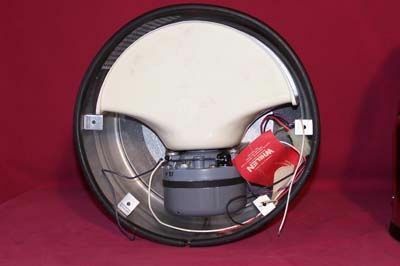 American made high efficiency 100 watt RMS speaker mounted in a tall, heavy gauge, stainless steel base.